The recent rise in road deaths was mainly on winding rural roads. Here Peter Rodger of the IAM offers common sense advice to help keep death off these roads. Summer sees more vulnerable road users out such as horse riders, cyclists and walkers. If you see them, pass wide and slow, and if this means hanging well back until you can overtake gently, do it. Horse box drivers will try to avoid stopping and leave longer distances between them and the vehicle in front to give their animals a smoother ride. Be patient and don’t cut them up. When there are wildlife warning signs, take heed of them. If a deer runs out in front of you, keep an eye out, as more may well follow. Ease off when approaching field entrances and gateways – unless you can see there is nothing. Where there are farm vehicles moving about, there is likely to be slippery mud on the road when it’s wet. The national speed limit, 60mph, is an absolute maximum, not a target. Speed limits differ for drivers who are towing. The maximum speed limit for a car and trailer or a van on single track roads is 50mph and for an HGV is 40mph. Be sensitive to this. Rural roads often have overgrown verges, bushes and trees which will block your view. Always drive to be able to stop within the distance you can see to be clear. 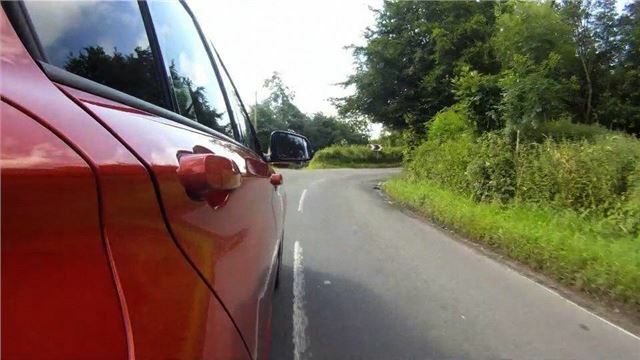 On a single-track road you need to double your stopping distance. IAM chief examiner Peter Rodger said: “Rural roads are more fun to drive than long, straight ones, but they are responsible for the majority of fatal and serious accidents. “Ask yourself, can you stop in the distance you can see to be clear? And have you anticipated the approaching vehicle or junction hidden around the bend? The IAM has also launched a website, for biking advice and tips, bikingadvice.org.uk, with traffic updates, touring advice by country and all you need to know about events and local groups. Tips cover riding with pillions, in groups and night riding. There’s also a videos page and you can upload your touring photos and stories - get involved at www.betterbiking.org.uk.